Frank Merlo (1922 – September 21, 1963) was an actor, known for Rustlers Round-Up (1946), Buzzy Rides the Range (1940) and Buzzy and the Phantom Pinto (1941). He died on September 21, 1963. 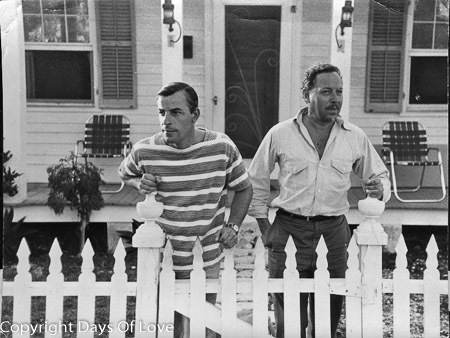 He met his long-term partner Tennessee Williams in the summer of 1948. Though separated briefly in 1961 and again in 1962, the two were partners for 15 years. Merlo acted as Williams' personal manager/secretary.